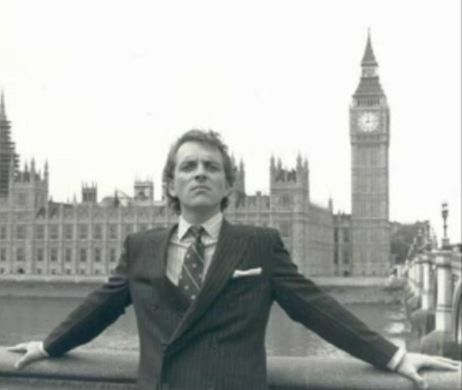 I’m thinking I might stand for Parliament… | Subject. Object. People are angry or dismayed or both about the current political situation. They are rejecting the big three parties because the system’s broke. The Liberals, Tories and Labour are all singing from the same hymn sheet, in voices ranging from feeble to strident. The last things on politicians’ minds are humanity and the planet. They are presiding over ever-widening inequality but putting up smokescreens that cause division and fear. Surely the vast majority of us want the opposite? We want people to get on with each other, we want peace and happiness, and not instability and hatred. I want to help bring about unity, to cut through the tribalism, the scapegoating. I want to get rid of poverty, I want people to have control and free use of essentials like drinking water, electricity, food, and public transport. I want a redistribution of wealth, I want banks, the police and civil servants to work with and for all of us, not government and corporations. I want real democracy, not just the representative democracy we have now. I want an end to weapons manufacturing, I want an end to nuclear and for us to get our power from the air and sun and community food production. All in all, I want a better world. 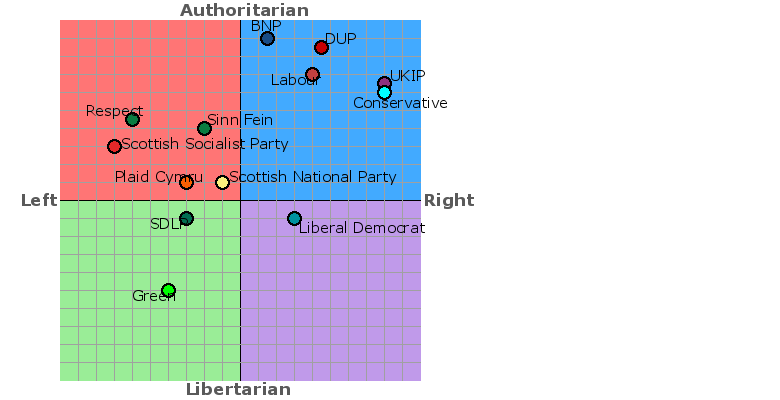 The kind of place I’m coming from is on the left of the green square of this political compass below. You can take a test to see where you stand. Those are my basic goals. Some might say they’re pie in the sky (the classic line is ‘but human nature makes people greedy, get real!’ I may argue my case against the ‘human nature’ argument in a future blog). I’m not saying all these goals are possible, or can be achieved quickly – but I won’t give up on striving for a society based on mutual aid, with individuals and society on an equal footing. Might seem a bit of a contradiction standing for Parliament, an institution I feel is weighted in the interests of the 1% super-rich, making many laws on their behalf. I have read Colin Ward’s classic text The Case Against Voting, I hear Russell Brand when he says “don’t vote”. I am really into the idea of building our own society from the grassroots, and also get conscious. But aside from Russell himself and perhaps a few others in comfortable enough circumstances to make the transition, it’s not happening. People are still being left destitute with nothing beyond charity to keep them from starvation, with no one looking out for them. This is intolerable and there are too few in Parliament opposing this systematic crushing of poor people. My reasoning is, say if I and others stood for Parliament as independents (or maybe Bez’s Reality Party) all over the country we could help bring about direct democracy with MPs being more like delegates than party-political cogs in the machine? But I haven’t firmed up this yet… for instance, if a majority voted for something my conscience couldn’t accept, what would I do? The first stage would be to raise £500 to pay the deposit to the electoral commission. This is where it is. It’s a matter of how the majority of people who don’t vote can be engaged. I’m sure political parties, if it’s on their radar at all, think ‘how do we RE-engage them in voting?’ that’s the (comparatively) easy, temporary fix…the meaningful, transformative thing would be for the system to RE-engage around them…to go to them rather than try and re-assimilate them into it. Good point Tony. There is a paradox where one side says “don’t vote, it only encourages them”, and another side which says “the ruling class love us not voting” (as rightwingers, capitalists, those who want to maintain the status quo, have much more inclination to vote). If people were organising in communities or workplaces and disregarding the political system (if Nobody is the winner, as he/she/it often is, surely Nobody should be governing us, therefore we should not recognise government, and if no one obeys, no one rules?) However the people who should be getting organised outside local/ central government/ corporations are not, for various reasons, one of them being that the powers-that-be create divisions between us to keep us from empowering ourselves. Yep, you’re correct…it’s the quandry we find ourselves in. I’m starting to move towards the two-pronged approach that I’m sure you are – vote least worst AND organise. Broadly speaking – sure, if anyone’s on the front-lines dedicated to fighting to dismantle the established order and are confident they have something in the process of being built to take it’s place, voting’s a minor consideration, but for those (most of us) who aren’t up to that challenge, voting within the current system shouldn’t be frowned upon by those that are able, legitimately to not do. Not voting and anti-politics creates a void, which at some point is essential, that point is when ‘we’ have something to fill it with. We can agree with Emma Goldman AND aspire to get to the point in the popular conscience where we CAN start to leave the status quo to join those pioneers who have laid the ground to build a better framework on. Where we are now, and as conflicting/contradictory as the two things feel, I don’t think they’re mutually exclusive.